While the debate continues on how long before we will live in a fully autonomous vehicle world, the future of connected mobility is here, today. Virtually every vehicle coming off the assembly line has a modem with internet connectivity and every automaker, as well as large consumer brands, are focused on bringing convenient connected features to drivers across the world. Soon drivers pulling out of their garage will have their coffee ordered automatically, the heat turned down at home, their parking spot reserved and paid for, the nearest gas pump primed and ready to fuel, and their route optimized to get to their first meeting on time. Navigation, fueling and parking will be anchor tenants of every connected car strategy — but just because you build it does not mean they will come. Automakers and software builders must follow key eCommerce fundamentals in the car — just like you would in a mobile app or website. Fueling and parking are widely acknowledged as the keys to begin monetizing any connected car service. They are the things done most frequently in the car and are the most obvious starting points. OEMs have a huge opportunity to capture a share of these massive markets. 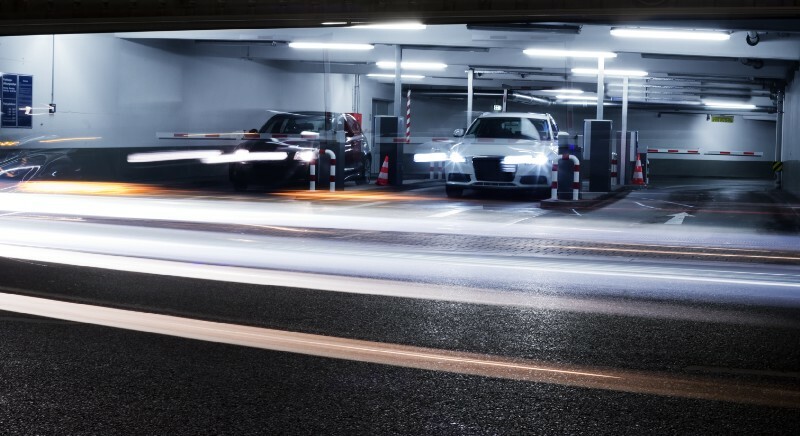 The parking industry alone is a $35 billion market in the U.S., and the average American spends the same on parking each month as they do on gas, but with more frequent transactions. Building integrated services like parking and fueling can establish a transactional relationship for other services with a card on file and established trust between the automaker and customers. By mapping eCommerce fundamentals to a connected car experience, OEMs can begin tapping new revenue streams and creating loyal customers. Start with the basics — the funnel. Buying something in the car is no different than buying something on a phone-except you might be driving 60 miles and hour and the bar for safety and simplicity must be much, much higher. That said, there is still a funnel that starts with discovering the capability, then finding the product you want to buy, then transacting and finally consuming the service. Just like ordering something on Amazon or Groupon, customers need to know how to navigate each step of the funnel — and software makers need to obsess over each step. Each step needs to be instrumented to collect every bit of data possible — where did the customer start? How many steps did they take? What did they try to search for? Where did they abandon? Why did they abandon? Did they buy a second time? Each step in the funnel must have a clear purpose, must be laid out plainly to the user and must only be introduced if absolutely necessary. Create a no-brainer incentive to get the hard stuff out of the way early — getting customers to create IDs, passwords, enter credit cards or other info is usually the first and hardest step in any eCommerce funnel. A lot of smart apps will defer this activity until people have something in the cart and want to buy it. Others adopt a “rolling” onboarding process where they only ask for info as they need it. In a car, however, you can’t ask people to enter a credit card while they are driving, nor will they do it when they are sitting at a parking gate or fuel pump. It’s too much work for too little return. That means you may have to offer an otherwise rich incentive for customers to take care of this when they buy their car, or when they are at home or work before they head out. Putting $25 of free parking or a free oil change out there may be necessary to get people over this first critical hump. Then — once done, selling other services on the go becomes much, much easier. Know your customers’ context — and make assumptions on their behalf. To cut down on steps, use what you already know and infer some steps on behalf of the customer. If they are getting in their car at 8am on a Monday, assume they are going to work and offer a nearby fueling or parking location. If they are leaving work at 5pm, assume they are going home and don’t offer parking, but do offer to order dinner at their favorite restaurant. Use the data your customers already give to others. Leverage data to understand your customers’ habits and context around their needs, and deliver services against it. Integrate with personal assistants such as Amazon Alexa or Google Calendar to anticipate parking or fueling needs for appointments and other work and personal obligations. Pre-know that if they drive an expensive luxury sedan, they probably don’t want to park on the street or with a valet. Support and understand repeat behaviors. Getting someone to try something new one time is the easy part — getting them to come back and do it again and again is the true mark of a good experience and the best way to create a lifetime relationship with a customer. If you are selling parking or gas, it’s highly likely that customers will park or fuel at the same location again, so put a quick link to that transaction right on the home screen. Skip (but confirm) all the other details like payment, login, length of time or type of gas. The fewer the taps the better. Don’t reinvent the wheel. Customers get used to ways of doing things. When it comes to basic things like login, passwords, credit card entry, date and time selection and search interfaces, follow patterns established by others and copy generously. Make use of other known logins (Facebook, Google, Amazon) and payment solutions (Apple Pay, Google Pay, PayPal) to cut down on steps and data entry. These companies are successful for a reason — and there’s no shame in riding on their coattails. Innovation will come in how you integrate them, not whether you can create a better credit card entry or login experience. Strong customer support is critical. The world isn’t magically ready for your great services. Stuff will take time to roll out, and things will break and customers will experience failures. You need to back them up if you want to keep them engaged over the long haul. Offer support in a variety of channels, including text, online chat and social media, and keep hold time short. Proactively seek solutions to problems before customers call. At ParkWhiz, we proactively text all new customers to ensure their parking experience is going well. If an issue arises at a particular garage, the customer service team alerts all affected customers with instructions for what to do when they arrive. It costs a little more in the short run but as you build scale and repeat behaviors take hold, it gets a lot cheaper. As a result, the satisfaction of our customers is unrivaled with our app store ratings at the top of the transportation category. Our team has experience building eCommerce experiences for leading brands like Expedia, Groupon, Redbox, Nordstrom and more — selling billions of dollars of goods and services online and through mobile apps. We’ve learned as a team what it takes to deliver a great online experience connected to a very offline and real world. At ParkWhiz, through our Arrive Network — our friction-free parking network — we are innovating to meet the needs of future drivers and connected and autonomous vehicles by applying these eCommerce principles to parking and other vehicle services. Interested in learning more? Please contact me at droarty@arrive.com.